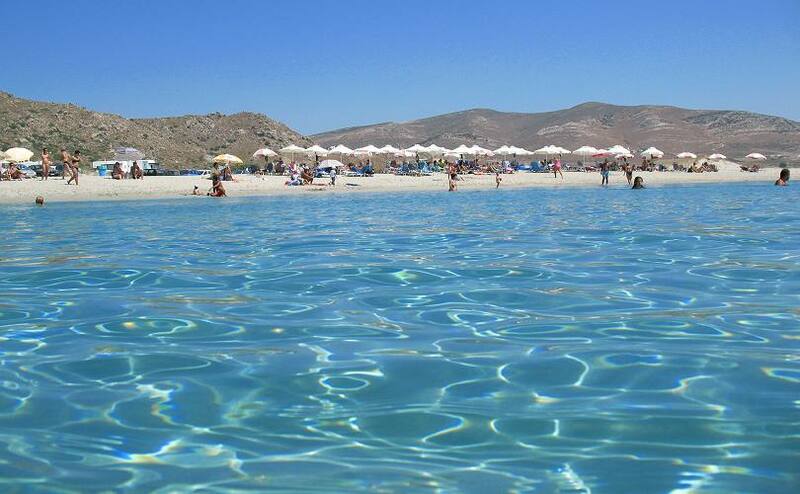 Mikri Vigla is a beautiful resort, ideal for holidaymakers who love to be in a quiet resort and enjoy the sea. Mikri Vigla resort is divided by Mikri Vigla cape, forming two regions. 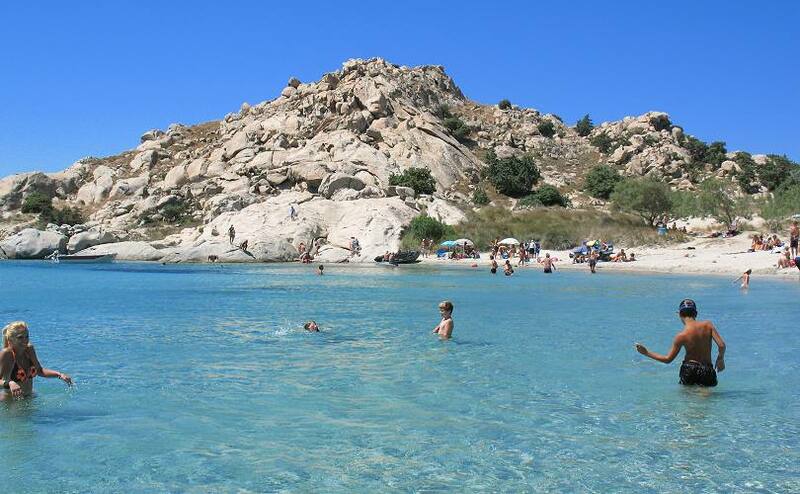 The north region is called "Parthena" after the chapel of Parthena (Virgin Mary) situated on an islet and the south region is called "Limanaki". 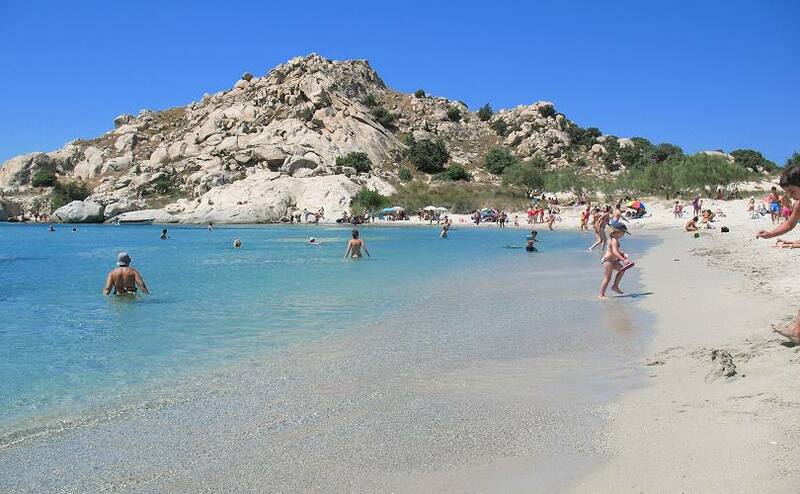 Limanaki is a beautiful beach with white soft sand, azure color waters and it is well protected from north winds. 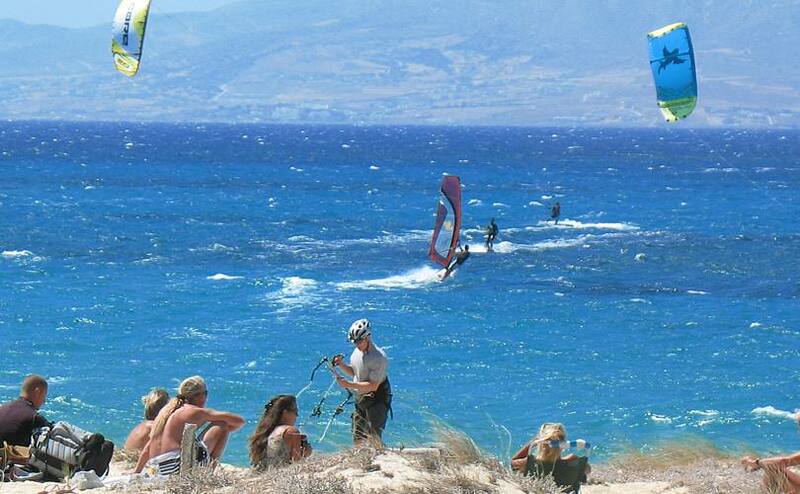 Mikri Vigla Parthena beach is very long and it is reputed as one of the best places in the Aegean Sea for wind surfing and for kite surfing. In recent years it has become the meeting point of surfers from all over the world. 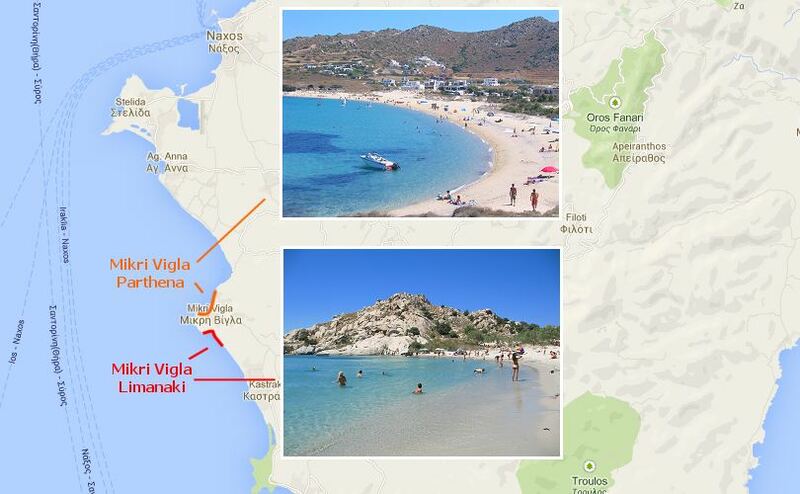 Via Vivlos (Tripodes) Village: On the 15th km of the road Naxos Town to Kastraki / Pyrgaki there is a sign to Mikri Vigla. Turn to the right and after driving 3 Km you will end up at a crossroad. The left direction leads to Limanaki (the south part of Mikri Vigla) and the right part leads to Parthena (the north part of Mikri Vigla). 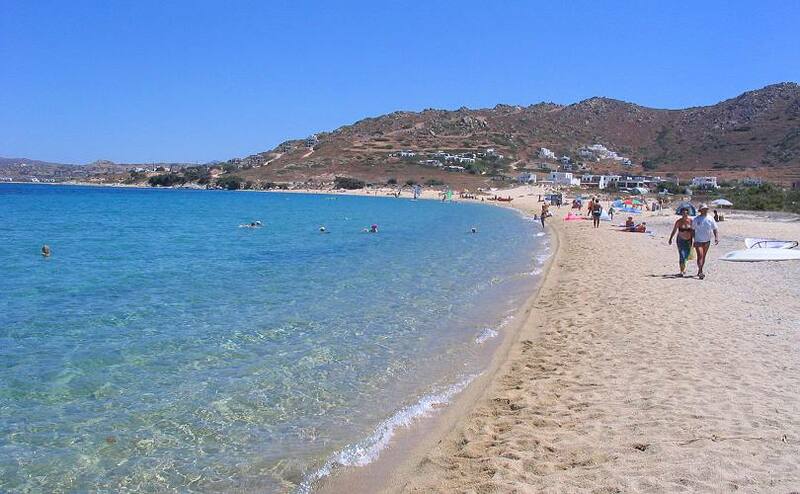 Via the new road passing behind Plaka: Drive with directio to Naxos airport. After 2 Km you'll come accross a junction. Pass the junction, stright on, and you will end up to an unpaved road. 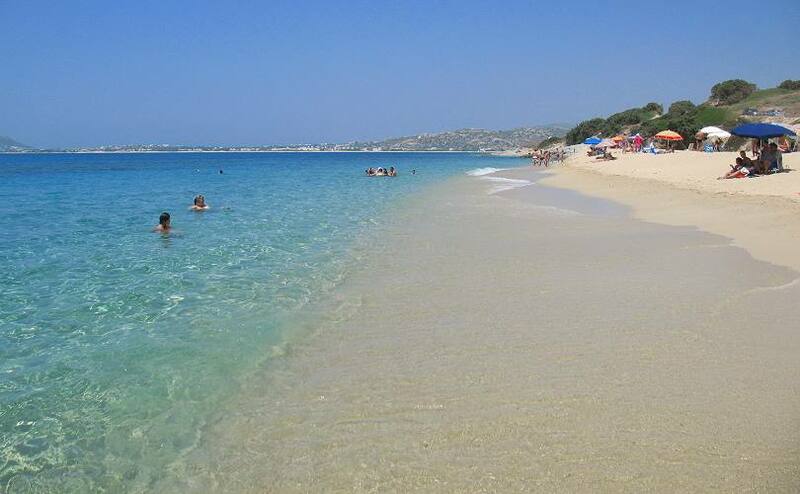 Continue on the unpaved road (there is a sign to the beach and Plaka - don't follow it) and you will end up to the sea. The beach there is called "Orkos". Straight on up to the hill and you will end up in Mikri Vigla Parthena (the unpaved road is 3-4 Km). If you want to go to Limanaki, continue straight on. 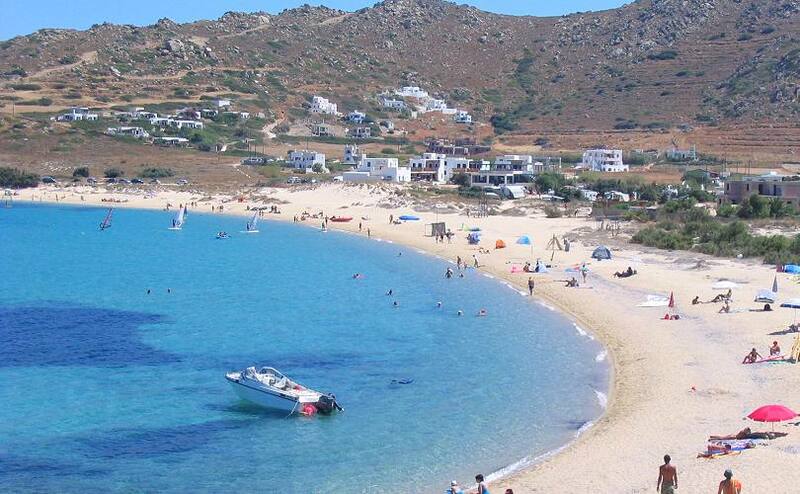 Location: 18 km form Naxos Town (via mainland villages - Vivlos village) or 11 Km from Naxos Town via the new road passing behind Plaka). Taverns, cafes, mini-markets, travel agent, water sport facilities. One bus schedule a day, via Tripodes village. 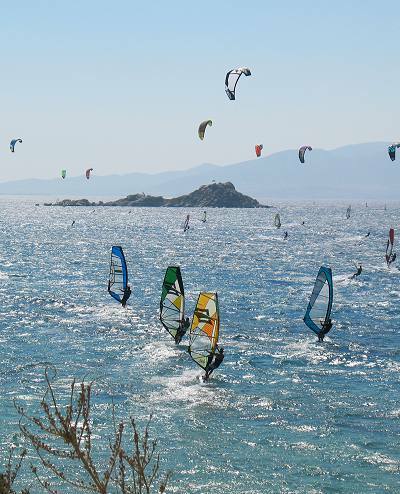 Wind & kite surfers in Mikri Vigla. Behind is the islet with the Pathena (Virgin Mary) Church on it.